Occipital, creators of 360Panorama ($1.99, $.99 today only), named a top 30 iPhone photography app by our Matthew Panzarino has announced huge new updates. 360Panorama version 3.0 was the first iPhone app of its kind to offer users the ability to create a fully immersive, 360 degree, interactive panoramic photo in under 30 seconds. Using the iPhone 4’s gyroscope to fill in missing frames while tracking a user’s motion, a panorama is captured after launching the app, tapping the screen and panning your iPhone in any direction. Your panoramic photo is created in front of your eyes, no stitching required, sharing it in a multitude of ways. 360Panorama, already splendid, with today’s launch of version 4.0 has taken its app to another level with new features and a new way to explore geolocated, immersive, 360 degree images captured by others, 360VERSE. Panoramas dynamically enhanced Occipital’s computer vision servers. Occipital user accounts serving as a repository for all ones captured panoramas. 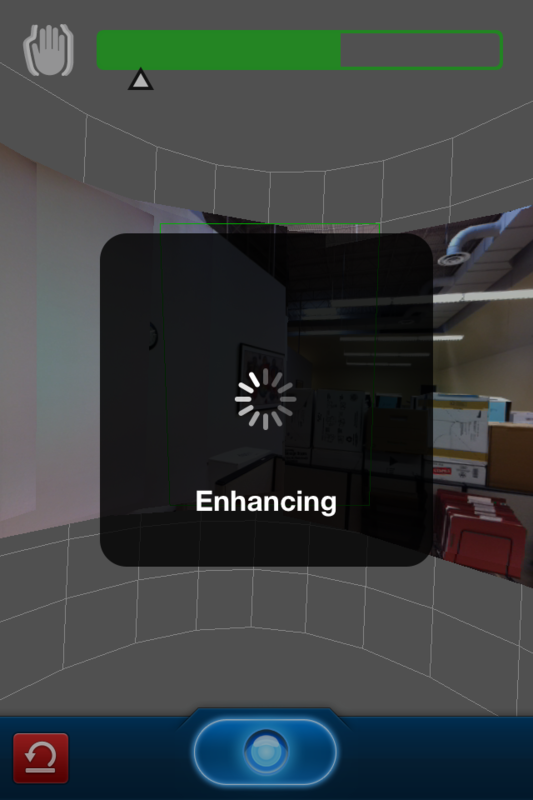 360 views captured with the app are viewable on almost any browser, including mobile, with Occipital eventually adding even be adding WebGL support (checkout how fluid the WebGL experience is on browser like Chrome 11 or Firefox 4 – http://tinyurl.com/425mkhw ). Enhanced social sharing through Twitter and Facebook. 360VERSE is a new, community-powered site, allowing one to experience recent events around the world via 360 degree views being captured by other users. All 360VERSE views are searchable by both place and time. For example, search for “New York City tonight” through 360VERSE after President Obama’s speech last week and this image is presented : http://occip.it/pt4s8zso. A search of “2011 Academy Awards” yields: http://occip.it/pt44jpzb and http://occip.it/pt44lqn7 (captured by @danabrunetti, producer, “The Social Network”). If you love photography apps, and great ones at that, 360Panorama is more than worth the $1.99, but is $.99, today only! Pick up the app here and begin sharing your panoramas with the world!